You might remember a certain sizeable crumpet that had you drooling into your computer screens, or maybe it was the build your own breakfast menu that had you salivating. Either way we knew that we would back at West End Deli for more before too long! 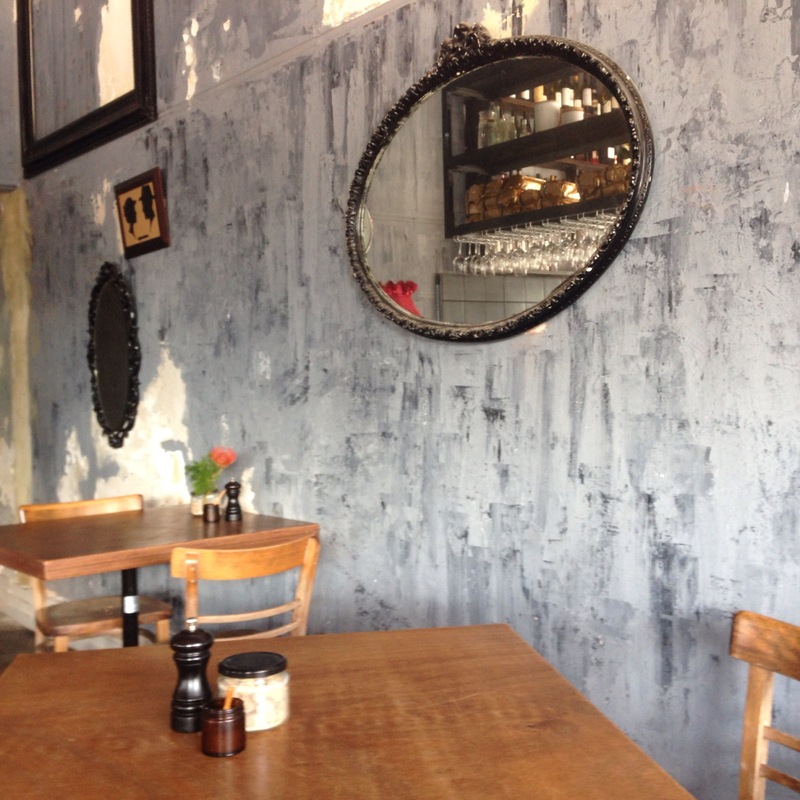 The cafe still had that rustic charm and the staff were as we remembered them, impeccably dressed and upmost professionals, giving breakfast a bit of a fine dining shake down. We sat near a window, the light streaming in from the beautiful day outside and started off the meal with drinks. 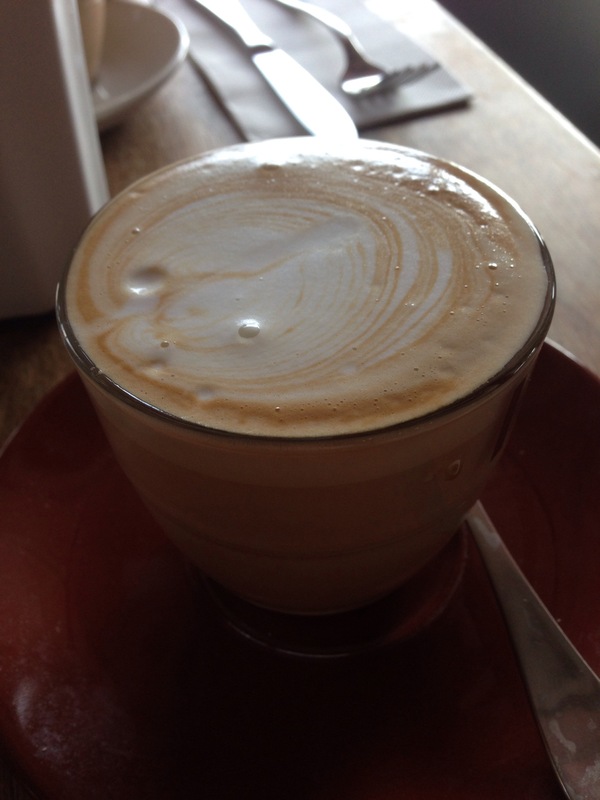 We were more impressed with our lattes this visit, they were creamy, smooth and balanced with a nice flavour. 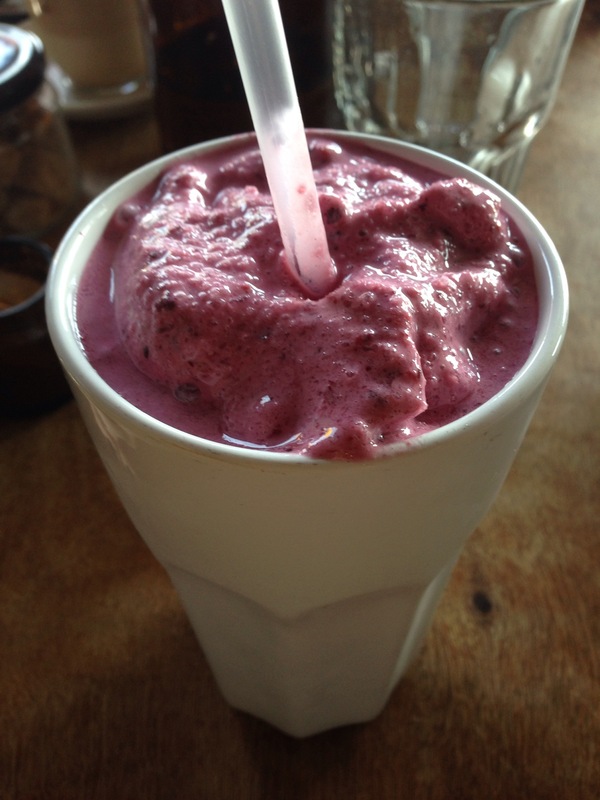 Instead of a milkshake we tried this monstrous berry smoothie. It was nice and thick, though a tad icy and the flavor was quite tart, almost saved by the creaminess of the yogurt. 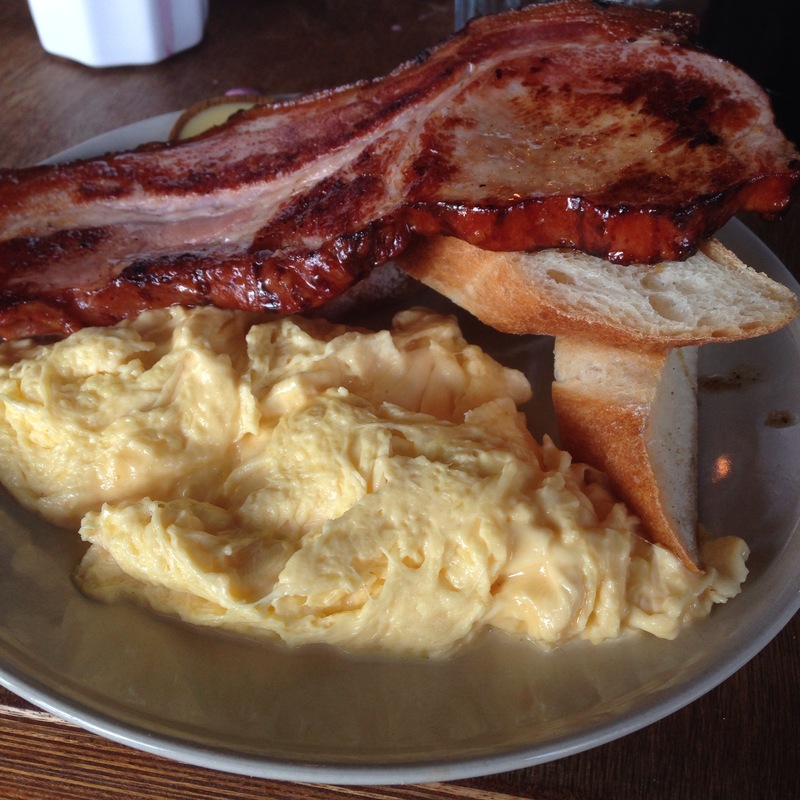 Our meals came out promptly and the slab of bacon with our bacon and scrambled eggs was truly a sight to behold. We selected bacon and scrambled eggs on baguette and were not disappointed. The baguette was so fresh and soft, served with a nice salted butter, while the bacon was thick, and smokey with a full on flavour. The eggs were super creamy, almost melting in your mouth, though at times we found too dry or too wet patches, an unfortunate inevitability with such creamy eggs. This wasn’t just bacon and eggs, it was THE bacon and eggs. We also tried the pear and honey granola. While not as awe inspiring a sight, it was delicately presented and had some tried and true flavours. 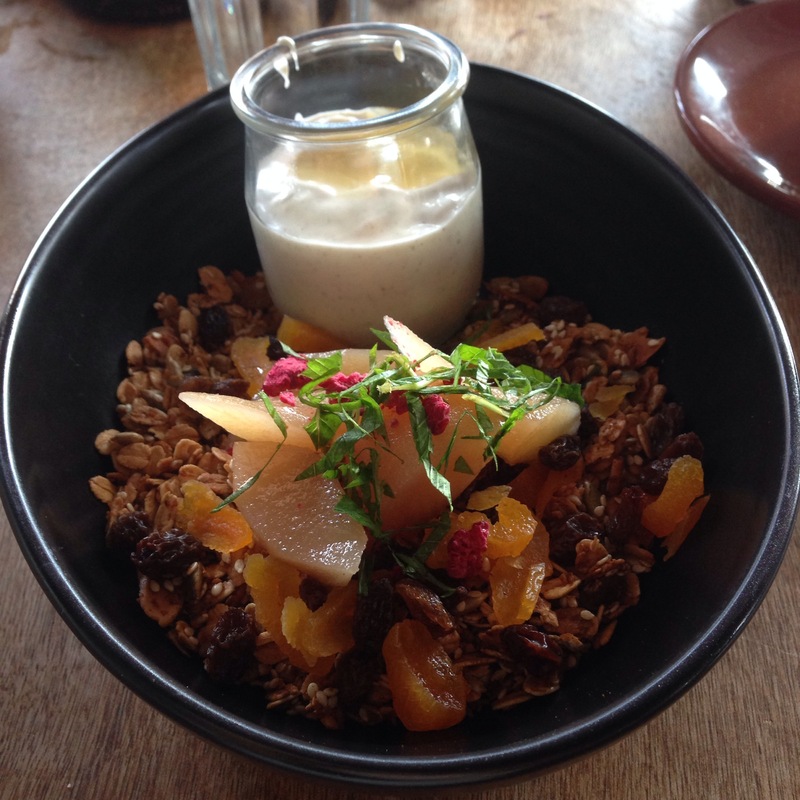 The granola was nicely toasted with a mix of fruit, nuts and oats, which gave a satisfying crunch with each mouthful. The vanilla bean yogurt and poached pear along with the honey were perfect accompaniments, a bit sweet, a bit sticky, but absolutely delicious. West End Deli continues to impress with their delicious food and professional service. 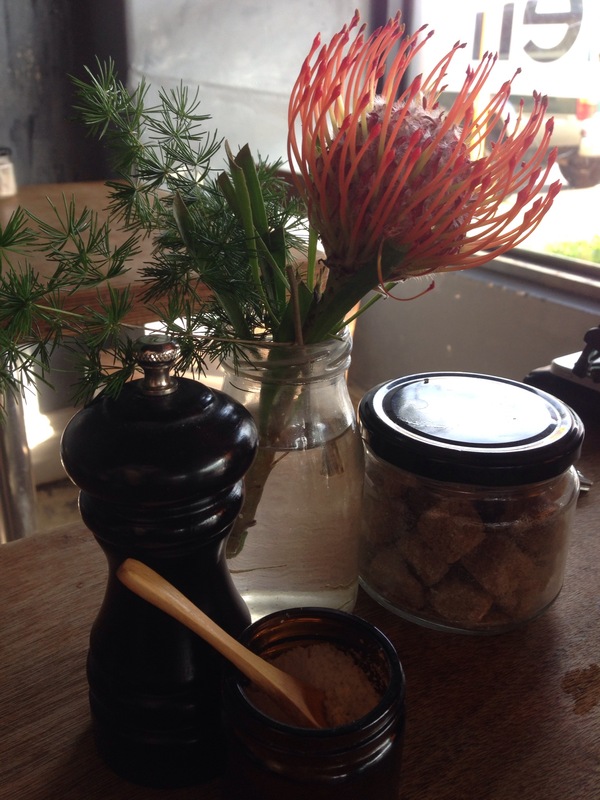 It’s a must visit for breakfast goers on the hunt for something special!